Allison is an in home personal trainer in Arlington, Vienna, Fairfax, McLean, Chantilly, Leesburg, Alexandria, Ashburn, Woodbridge, Reston, Falls Church, Annandale, Tyson's Corner, Dunn Loring, Centreville, Springfield, Oakton, Clifton, and many, many, more locations throughout Northern Virginia, Fairfax County, Loudoun County, and other areas of Virginia. Allison is a personal trainer in Arlington, Vienna, Fairfax, McLean, Chantilly, Leesburg, Alexandria, Ashburn, Woodbridge, Reston, Falls Church, Annandale, Tyson's Corner, Dunn Loring, Centreville, Springfield, Oakton, Clifton, and many, many, more locations throughout Northern Virginia, Fairfax County, Loudoun County, and other areas of Virginia. I have always had an interest in athletics and an active lifestyle, but it wasn’t until college that I realized what I wanted to do with my life. After my first semester of anatomy I became fascinated with the human body and the effects that exercise, proper nutrition, and an overall healthy lifestyle could have on it. I just graduated from James Madison University with a BS in Exercise Science and Leadership, and a minor in coaching. The past few years I have worked with clients from every fitness background and truly enjoy being able to motivate them and help them achieve their goals. My personal training philosophy is to treat every client as an individual- there is not one training strategy that works for every body. I like to try a lot of diversity in my workouts and change up the routine to focus on different muscle groups. I am a sound believer in working every aspect of physical fitness- cardiovascular, muscular strength and endurance, flexibility, and core work, while educating my clients as to what is happening in the body. 6.) Our personal trainers in Northern Virginia will make you do cardio!!! Arlington, Vienna, Fairfax, McLean, Chantilly, Leesburg, Alexandria, Ashburn, Woodbridge, Reston, Falls Church, Annandale, Tyson's Corner, Dunn Loring, Centreville, Springfield, Oakton, Clifton, and many, many, more locations throughout Northern Virginia, Fairfax County, Loudoun County, and other areas of Virginia. Our personal trainers, at Every Body's Personal Trainer, are available for in home personal training at all of the above locations. 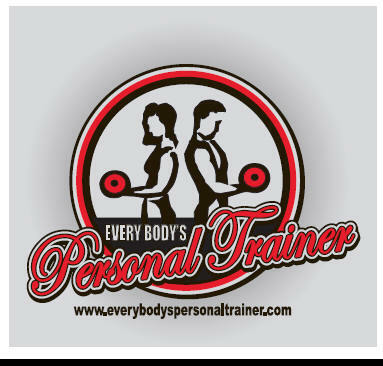 Have one of Northern Virginia's best personal trainers work with you in the comfort of your own home. Our personal trainers in Northern Virginia will bring the equipment necessary to give you a great total body workout in the convenience of your home. Give us a call today to get started on your path to achieving your goals with one of our in home personal trainers in Northern Virginia.